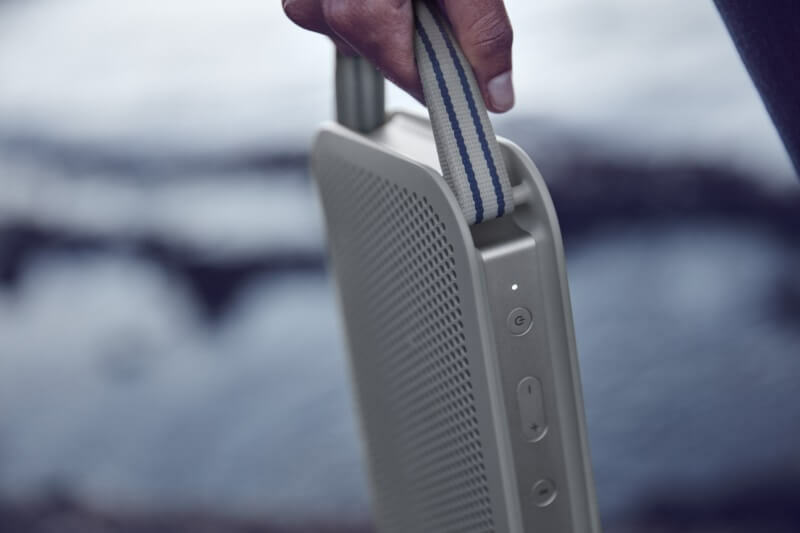 BeoPlay A2 Active is now even more mobile, has colorful carrying straps made of linen and is protected against dust and splashing water. The core housing is available in two colors - Natural and now also in Stone Gray. The carry straps of linen in a discreet and expressive design fit perfectly. Protection against dust and splashing water. 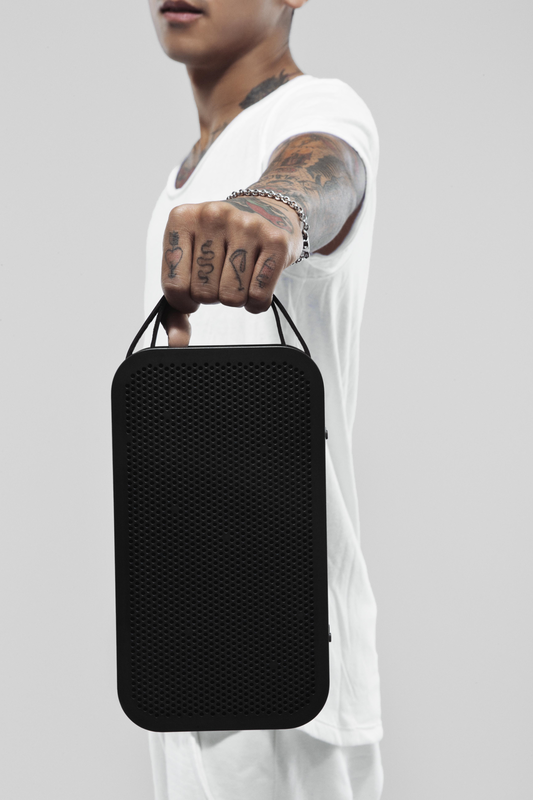 The new speaker adds an active dimension to one of B&O PLAY’s best-selling Bluetooth speakers as it is dust and splash resistant, comes with a USB-C charging cable for faster charging and seamless portability and two stylish NATO-inspired straps made of woven polyamide with solid tensile strength. Beoplay A2 Active is available in two colors, Natural and Stone Gray. The package includes two NATO-inspired carrying straps. Leather straps are also available as an optional accessory. Up to 24 hours of portable playtime. Adjust the sound profile with Beoplay App. Beoplay A2 Active is compatible with Beoplay App for Android, iPhone and Apple Watch. The app lets you pair two identical speakers for a true stereo or ambience setup. 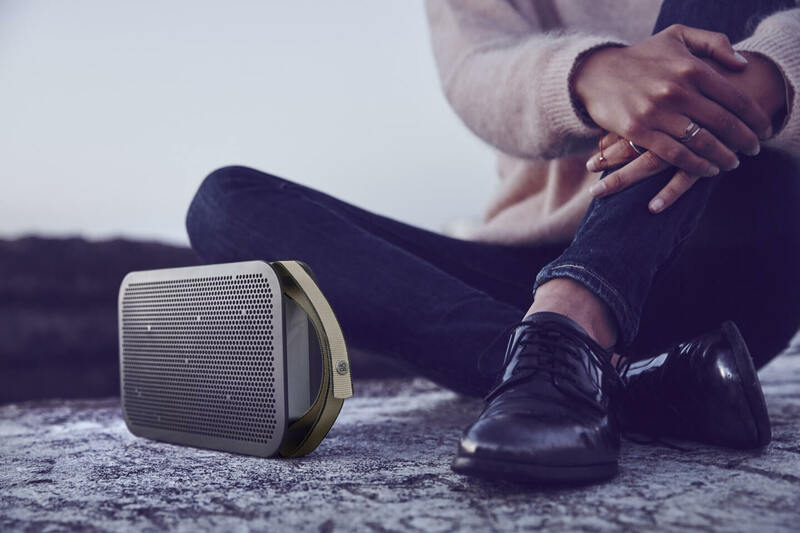 Bang & Olufsen sound engineers have created a variety of sound profiles specifically for Beoplay A2 Active: Lounge, Party, Podcast, and Favorite. Users can adjust the tonality and sound staging themselves with the playful and intuitive B&O PLAY ToneTouch. The interface lets users feel their way through different sound settings and find the one that best suits the situation. Once adjusted, Beoplay A2 Active stores the setting on the product itself until you adjust it again. 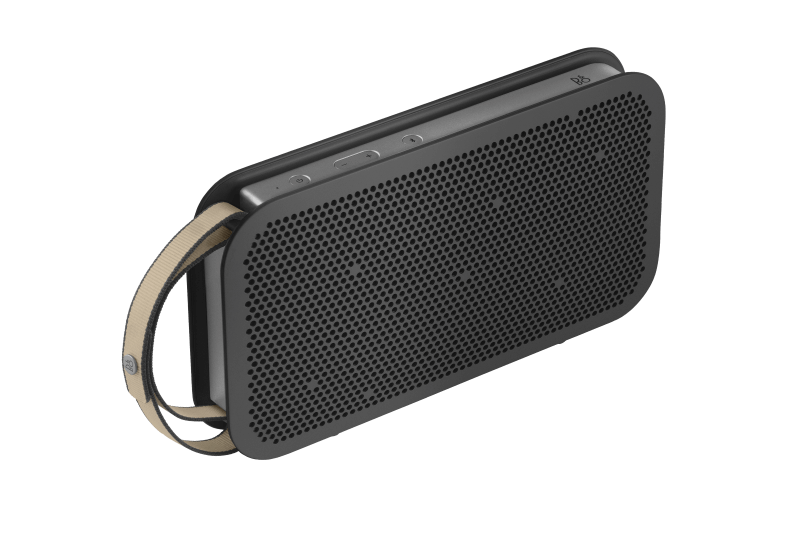 Control the speaker via the Beoplay App. Connected to Beoplay A2 Active, Beoplay App makes it easy to monitor the battery status of the speaker. Users can control the music (play, pause, forward, back), and they can personalize the speaker in the app by giving it a specific colour and name. Connecting Beoplay A2 Active to Beoplay App, users also receive software updates automatically. 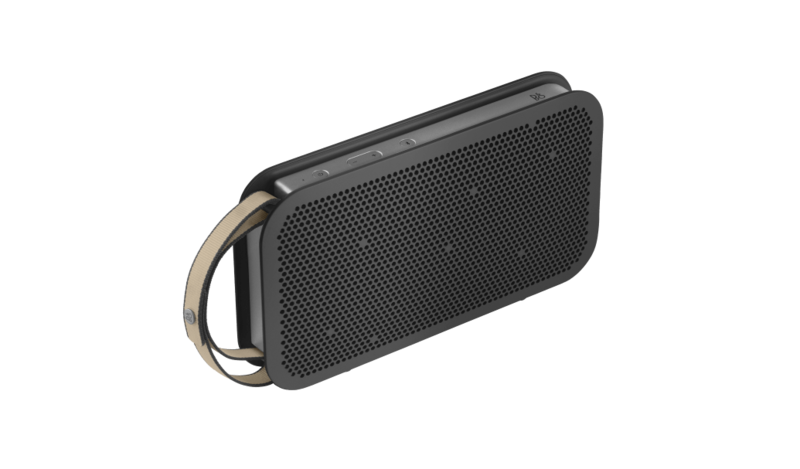 Featuring an unique flat design with a solid aluminum core for acoustic stability and durability - and a polymer shell designed to withstand the ruggedness of a life on the go. 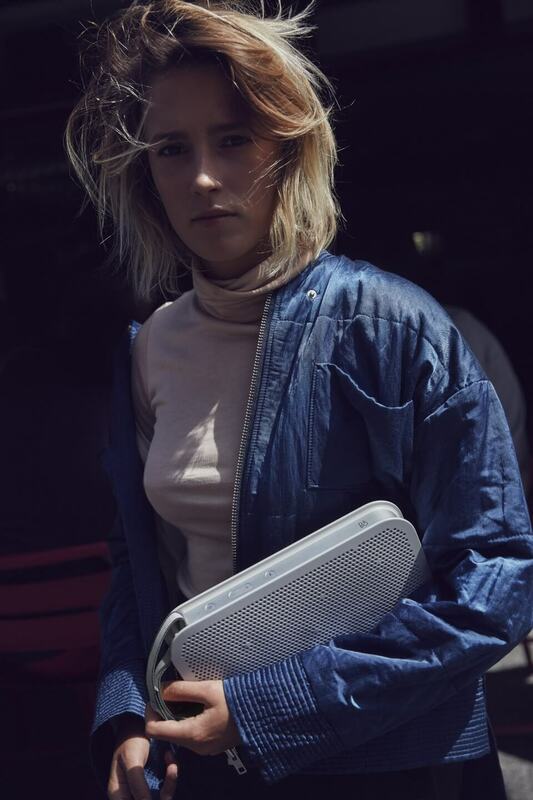 The width of BeoPlay A2 Active is approximately 45mm - a size that ensures stability so the speaker will not fall over easily but still allows the product to be narrow enough to fit most bags. 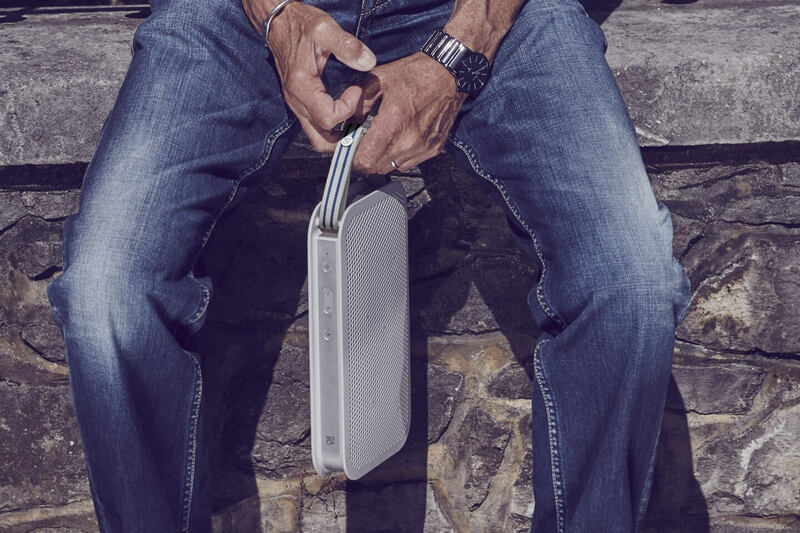 A short carrying strap lets you carry BeoPlay A2 Active easily with you wherever you go. 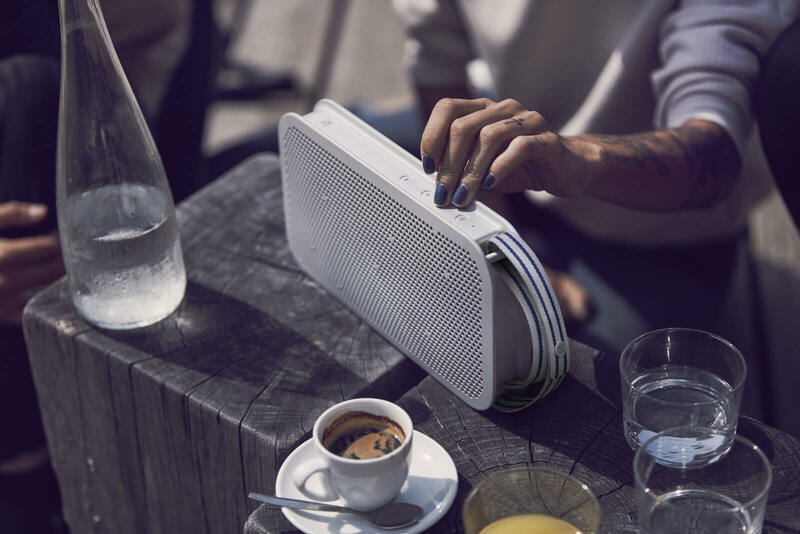 BeoPlay A2 Active is a stereo loudspeaker with two channels on each side of the device, applying a new Bang & Olufsen technology called "Power Response Enhancement". The technology exploits the wide sound dispersion in the low frequency to boost the sound at the edges and get an omnidirectional sound. The result is an experience called "True360". There are two speaker drivers on each side of the product - a 3/4-inch-tweeter and a 3-inch full range driver. If you are placed in front of the speaker, you will get a full range experience from one channel and high frequency from the other - and vice versa when you are on the opposite side of the loudspeaker. 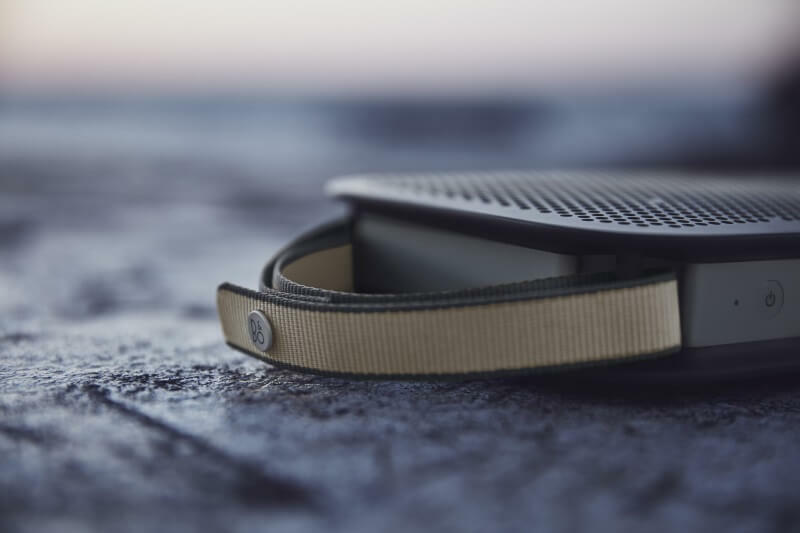 As BeoPlay A2 Active is very slim, the midrange and lower frequencies of the full range driver will radiate around the edge and create a full, spacious experience on both sides and on the edges. The driver combination creates the power enhancement needed to achieve the great True360 sound experience. This means, that you will get an optimal experience regardless of which side of the speaker is turned towards you. The Power Response Enhancement technology is arguably the simplest and best way of implementing a stereo experience from such a compact product. 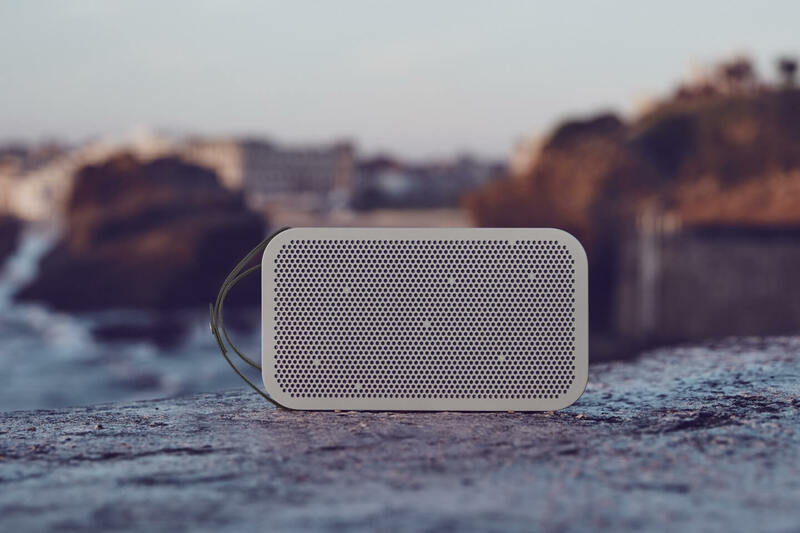 The control buttons on the top of the speaker (power, volume, Bluetooth) have all been made tactile, which means that you can feel the interaction - and you are not in doubt whether or not pressed a button correctly. 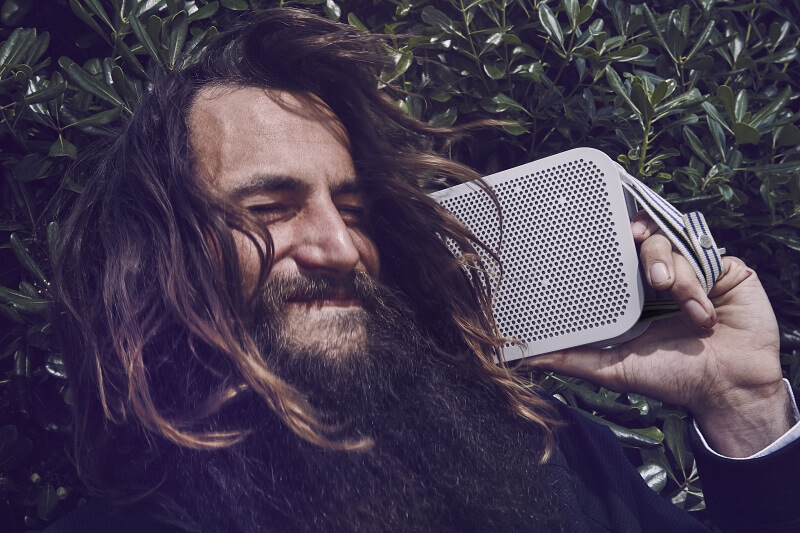 BeoPlay A2 Active is a robust product that can withstand bumps and scratches. 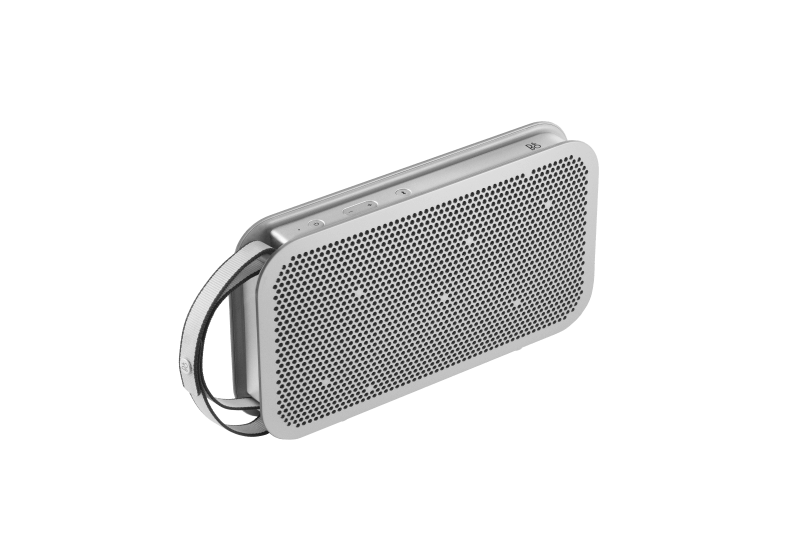 The drivers inside the speaker are water resistant and the buttons on the side are sealed so water cannot get in - as are the areas where the aluminium is attached to the polymer. 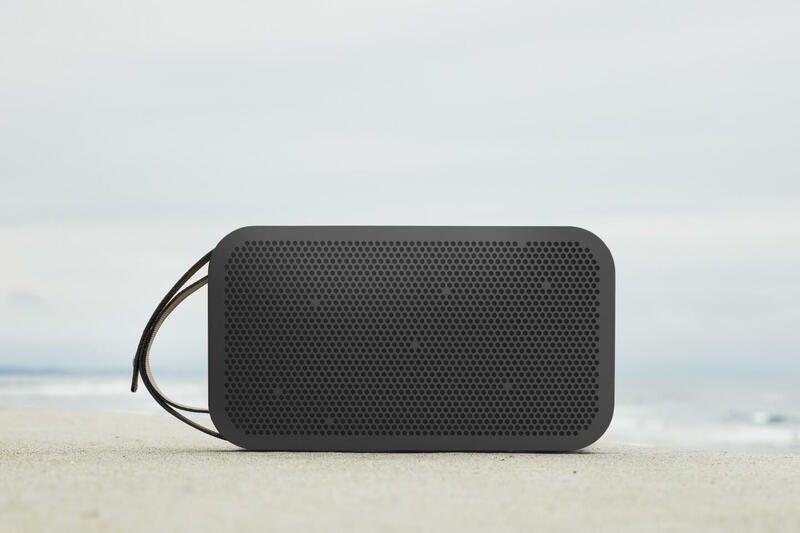 BeoPlay A2 Active can take the occasional sprinkle and rain drops, but is by no means meant for underwater listening. 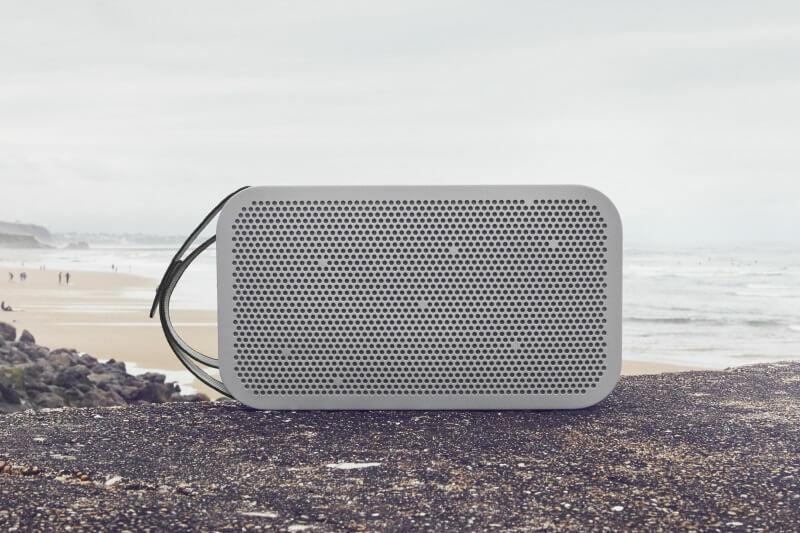 The core of BeoPlay A2 Active is made from extruded aluminum. Aluminum extrusion is a technique used to transform aluminum alloy into objects with a fixed cross-sectional profile. This technique gives you both the ability to create very complex cross-sections - and it also ensures an excellent surface finish. 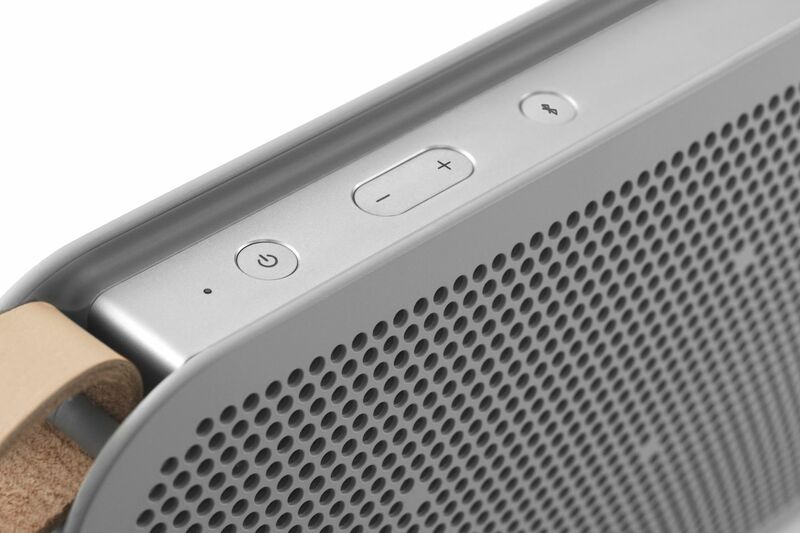 It requires a great deal of precision drilling to make sure the aluminum core on BeoPlay A2 Active fits the grill. The procedure used is called CNC milling and takes more than 30 minutes per speaker. The grill on the speaker is made from a combination of polycarbonate and ABS. It is referred to as durable polymer. The actual casting of the grill is a very complex task; the polymer has to flow around the holes - and fasten on the other side. There is a risk involved here, because it can result in "stretch marks" or "bright spots" on the polymer if too much air is left in or not enough polymer gets around the holes for an even surface. 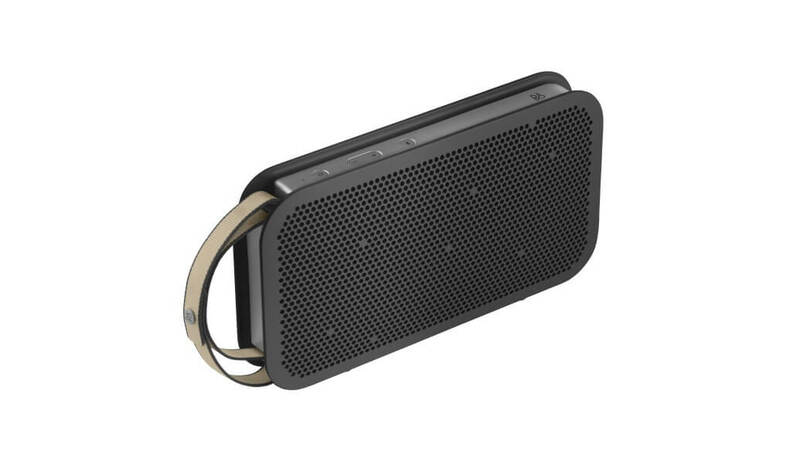 BeoPlay A2 Active applies the latest in Bluetooth technology, Bluetooth 4.2, which supports the so- called aptX codec. This results in 16 bit sound performance at 44,1kHz, which corresponds to CD quality. Bluetooth 4.2 also provides improved security and supports faster speed in data transmission than previous versions. The Bluetooth technology is now matured to a level that can truly give you an engaging music experience. 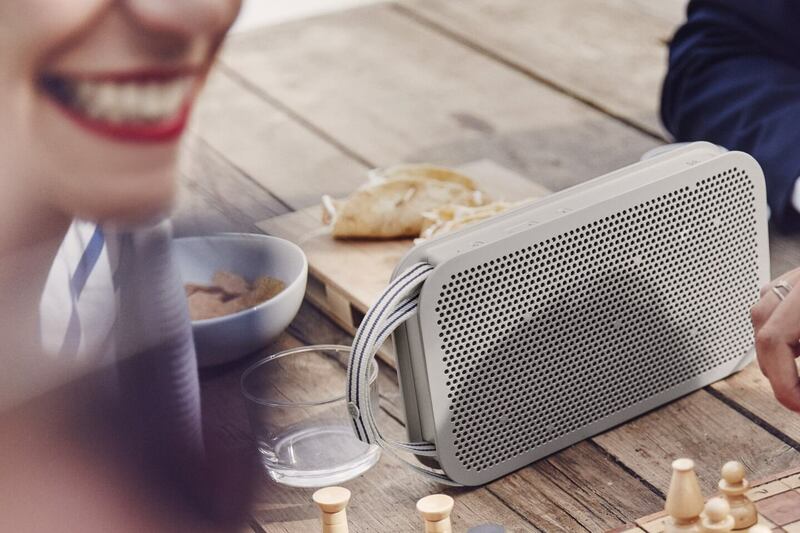 BeoPlay A2 Active remembers up to 8 users, and can play from 2 devices at a time - so you can team up with your friends and take turns being the DJ. 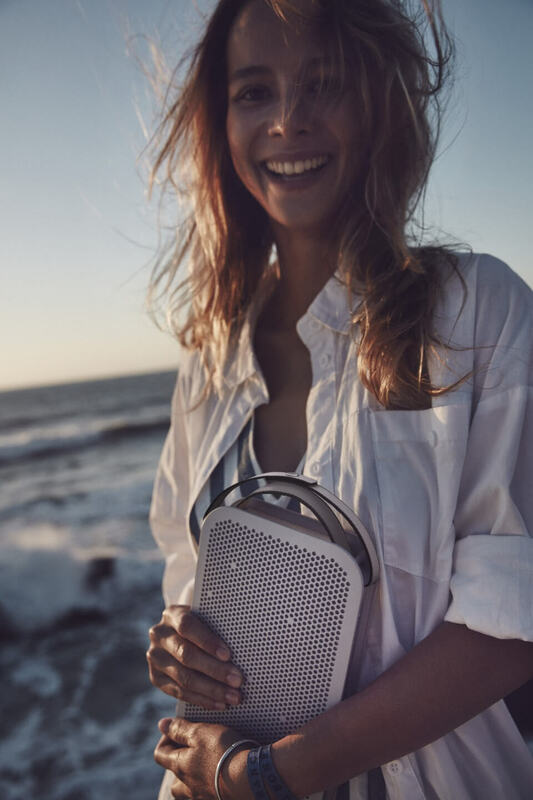 >Bluetooth 4.2 uses less power than previous versions and Bang & Olufsen has taken that even further by developing an Adaptive Power Management system, which dynamically adapts power output to allow up to a 24 hour continuous playback. 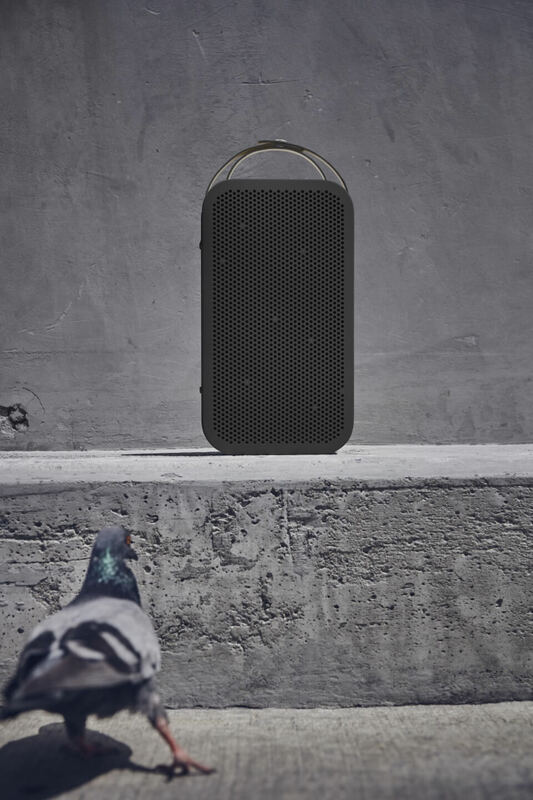 Experience BeoPlay A2 Active as perfect companion in everyday life. Don't miss a manufacturer's campaign or other advertisings where the price is reduced for a limited time. We will inform you automatically if your desired price for beoplaya2active is reached or we have another suitable offer for you.